The Indian government has rightly come in for a significant amount of criticism for backtracking and withdrawing the visa it had granted to Mr. Dolkun Isa, a Uyghur activist, after the Chinese government complained. While there is almost universal condemnation of the incompetence of the Indian state in efficiently managing something as simple as granting a visa, opinions about the strategic consequences of the Indian government’s actions are more divided. Much of the commentary has been highly partisan. Still, this episode also raises important questions about how Indian foreign policy and security policies are managed. We do not yet know, of course, the real story behind why an Indian visa was granted to Mr. Isa or why it was later withdrawn, or why many other Chinese dissidents were also refused visas to attend a conference that presumably relevant government agencies had already approved. Early press stories suggested that New Delhi granted the visa to Mr. Isa apparently in retaliation for China blocking India’s efforts to place Masood Azhar, head of the Jaish-e-Mohammad (JeM) terrorist group, on a UN terrorist list established by the UN Security Council’s (UNSC) Al-Qaeda Sanctions Committee. (China had claimed that India’s application did not “meet the requirements”). The consistency in these stories suggest that the story was based on briefing by senior government officials. Indeed, some reports quoted “top sources” as saying that this decision was taken at the “highest level” in the government. This is useful to keep in mind because once the government decided to withdraw the visa, the story became one of an inter-departmental snafu between the Ministry of External Affairs (MEA) and the Ministry of Home Affairs (MHA). It is also possible that the visa was granted by mistake because Indian officials did not realise Mr. Isa’s name was on an Interpol red corner notice. Still, the government took no steps to deny these stories in the first two days, before the visa was retracted, suggesting that something more than an interdepartmental issue was at play. Some reports have even suggested that India and China had worked out a quid-pro-quo on the Masood Azhar issue, but this appears highly doubtful. This sorry episode raises at least three issues for consideration. First, the issue of coordination within the Indian government. The Indian government has yet again demonstrated the extreme lack of coordination that is the hallmark of the Indian state. Coordination is difficult in any large organization, especially governments, and a large quantity of international relations scholarship has gone into understanding the processes at work within governments that affect decision-making, beginning with Graham Allison’s brilliant Essence of Decision. Political leaders and governments have been long aware of this problem: the National Security Advisor and National Security Council system, which many governments have now adopted, was designed to reduce the problem of different departments pulling in different directions by creating a coordinating body within the government that ensures everyone is on the same strategic page, as much as possible. This was also the purpose behind setting up the India equivalent in 1998. But the Indian NSC system has clearly not worked very well, with little improvement in coordination between the various departments, and indeed even within the MEA, which tends to work in silos. 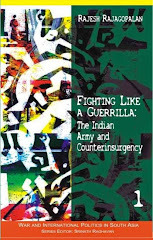 Analysts working on Indian security have long debated the problem of the dysfunctional state of civil-military relations in India but it might be time to consider the possibility that this is simply a reflection of the larger dysfunctionalities of the Indian state that affect not just civil-military relations but also of coordination between different departments across the Indian governments. The main problem here is that the Indian political leadership is either unable or unwilling to recognise the necessity for greater coordination within the government. It is the political leadership that has to force coordination between departments because bureaucracies will not make these necessary changes on their own. They have little incentive to bring about changes that will result in greater scrutiny and the loss of autonomy that coordination necessitates. Unfortunately, instead of creating institutionalised coordination, the tendency for long has been to create a superministry in the Prime Minister’s Office (PMO), which is a wholly inadequate solution because of the sheer size of the problem. A better solution might be for the PMO replace the NSC as the coordination agency rather than be the limited executive body it is currently. But even this requires political attention. A second issue that needs discussion is about the wisdom of undertaking the kind of retaliatory action that India took, assuming, of course, that the visa was granted to Mr. Isa as a retaliation to China’s action on Masood Azhar. This has come in for a fair bit of criticism. On Twitter, Shekhar Gupta blamed the action on “prickly & immature new warriors of our diplomacy”. Pratap Bhanu Mehta called it “machismo realism”. Though the chest-thumping by a section of the social media is deplorable, there is a rational strategic logic to retaliatory responses. China’s action on Masood Azhar was deliberately targeting India. And this is not the first time, even in the recent past, that China has deliberately targeted India with diplomacy aimed at undermining Indian interests. 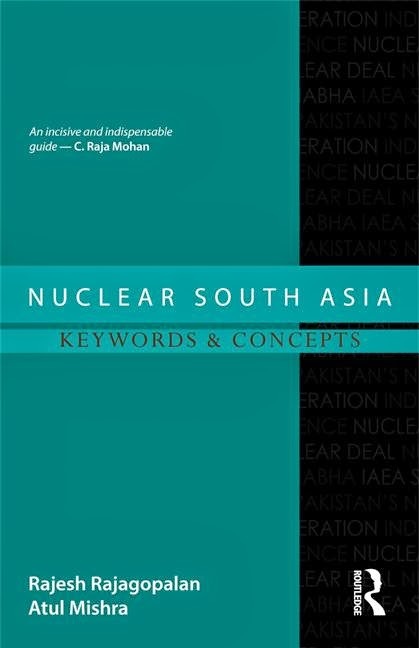 In just the last decade, China attempted (unsuccessfully) to prevent the NSG (Nuclear Supplier’s Group) waiver that India sought as part of the US-India nuclear deal, it has consistently undermined India’s bid for UNSC permanent seat, and it has (so far) successfully foiled India’s efforts to enter the NSG and other technology control regimes. In none of these case has India responded, other than by appealing to China directly. And there has been no comparable cases of Indian effort to undermine China’s interests in the international arena. Such actions require appropriate retaliation. Retaliation is necessary not as an act of ‘immaturity’ or ‘machismo’ but because it is the only way in which India can alter China’s calculus when it considers such diplomatic action against India. It is a liberal fantasy that India can convince China not to undertake clearly hostile diplomatic actions such as it has done simply through dialogue. China takes these actions not because it does not understand India’s position but because it has calculated that whatever advantage it gains by such action is of greater value than the negligible cost of India’s pique. Retaliation is a way to alter that cost-benefit calculus, and ensure that the cost to China will no longer be negligible. The next time China considers such action, it will have to consider what the cost of India’s response would be and whether such costs are acceptable. As of today, with no cost, China has little incentive to stop such action. It is possible to argue that hosting Chinese dissidents is not the right retaliatory step, that it is much too escalatory because China could retaliate by hosting Kashmiri dissidents. Every retaliatory step needs to be a calculated one, with that calculation including an assessment of possible counter-responses and further escalation. But this is not an argument against retaliation, only of the manner of the retaliatory step. The problem with Indian strategy traditionally has been that India rarely even considers retaliation. Not retaliating is to welcome further hostile behaviour. That said, it is even worse to threaten retaliation and then develop cold feet, as the Indian government has done in this episode. A third issue raised by this whole episode is India’s unfortunate tendency of palming off India’s problems to the UN and others, which is really a form of strategic escapism. It is unclear how India expects putting Masood Azhar on a UN terror list will stop his depredations. The JeM itself, for example, has been on the UNSC list since late 2001 (indeed, it is banned even in Pakistan, for the all good that it does). But India is apparently doubling down on this ‘strategy’. According to the Indian Express, India is going to make a fresh bid to put Masood Azhar on the UNSC terrorist list. There is probably sufficient evidence that Masood Azhar meets the requirements that are necessary for individual listing as set out in UN Security Council Resolution 2083 (2012), which is the basis used by the committee for listing individuals and entities. But to expect this to have any effect on India’s Masood Azhar/JeM problem is foolish, at the very least. There might be some limited normative value to putting Masood Azhar on the UN terrorist list but the amount of diplomatic effort that India expends on these ventures is much too disproportionate to any likely benefits. Equally importantly, expending this kind of wasted effort appears to be a means to avoiding difficult unilateral measures to deal with the problem. This is an old propensity in Indian foreign policy: from going to the UN for getting Pakistan out of Kashmir in 1948, to seeking nuclear guarantees from the US and the Soviet Union (neither of which had any alliance obligations to India) to deal with China’s nuclear threat in the 1960s to complaining incessantly to the US about Pakistan’s behavior, Indian decision-makers have repeatedly demonstrated that they are pathologically risk-averse. What India practices is not strategic restraint but strategic escapism, and as with any escapism, the relief is likely to be short-lived.